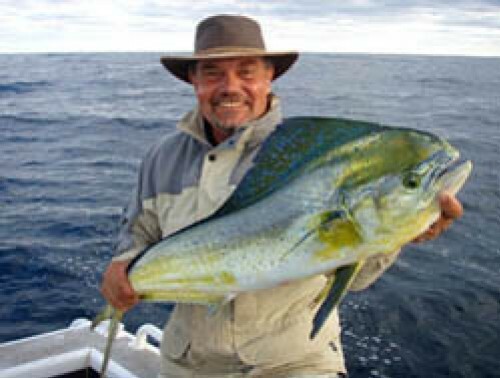 BOAT HIRE, FISHING, DIVING, WHALE WATCHING Looking for quality ocean surveyed fishing boat hire in Kalbarri, Western Australia, that’s self driven, affordable and trailerised? 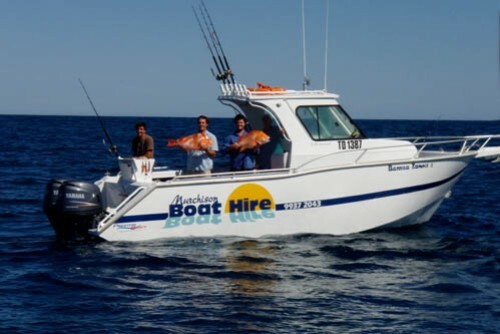 Welcome to Murchison Boat Hire, a family owned fishing boat hire business located in Kalbarri, where some of the best fishing for bottom and game fish is available along Western Australia’s coral coast. Our trailerised fishing, dive, whale watching and pleasure craft come in 3 sizes, all powered by 4-stroke Yamaha motors, are available for hire in Kalbarri. Or you may tow away to “your secret location” anywhere along Western Australia’s magical coastline. We deliver to the Kalbarri/Ajana turnoff for those traveling to Shark Bay, Denham, Carnarvon, Gnaraloo, Exmouth, Karratha, Port Hedland or beyond. Our newest & biggest boat, the pride of the fleet. Powered by twin 2008 model 115hp 4-stroke Yamaha outboards, it has all the best equipment for the serious angler. Licensed for 6 persons and up to 10nm offshore. An ideal boat for the serious angler to tow to anywhere in WA. Less than 2.5m beam allows towing at night and is equipped with hydraulic brakes & pendulum brake controller for your safety. The 6.1 metre trailerised aluminium plate boat as shown above is powered by a 2008 model 115hp fuel injected four stroke Yamaha outboard offering great fuel economy. Licensed to carry 6 persons up to 5 nautical miles offshore & within radio range along the coast comes complete with all required safety gear including a Koden colour sounder & GPS (with over 150 waypoints plotted) to get you to the spots quickly, this boat has it all. Licensed under the W.A. Department of Transport hire/ drive regulations the boat is fully surveyed with a restriction of dawn to dusk operation for your safety. Supplied full of fuel the 200 litre tank is more than enough for any experienced & adventurous angler. For those wishing to launch early morning the boat may be picked up the night before the hire and returned the next evening refuelled and ready for the next hire. Longer hires need not return the boat each day. Our smallest boat in the fleet, bought second hand, but completely re-fitted with new quality safety gear. Fitted out much the same as our 6.1m boat but just a bit smaller! Now powered by a 100hp 2007 model Yamaha 4-stroke and licensed to carry 5 persons up to 3 nautical miles offshore & within radio range along the coast. This boat also comes with a Koden colour sounder & GPS (with over 150 waypoints plotted) to get you to the spots quickly. 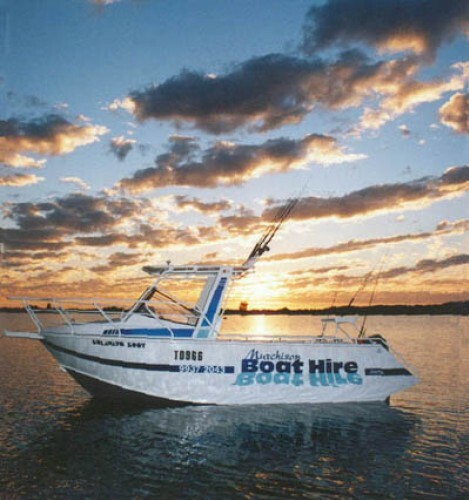 Licensed under the WA Department of Transport hire drive regulations the boat is fully surveyed with a restriction of dawn to dusk operation for your safety. Supplied full of unleaded fuel the 200 litre tank is more than enough for any experienced & adventurous angler. For those wishing to launch early morning the boat may be picked up the night before the hire and returned the next evening refuelled and ready for the next hire. Longer hires need not return the boat each day. 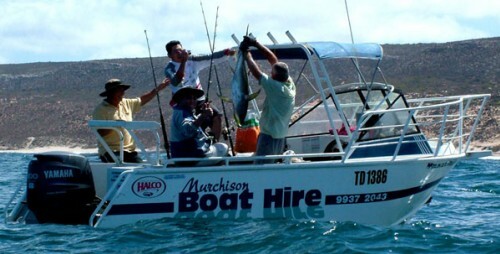 Welcome to Murchison Boat Hire, a family owned fishing boat hire business located in Kalbarri, where some of the best fishing for bottom and game fish is available along Western Australia’s coral coast. 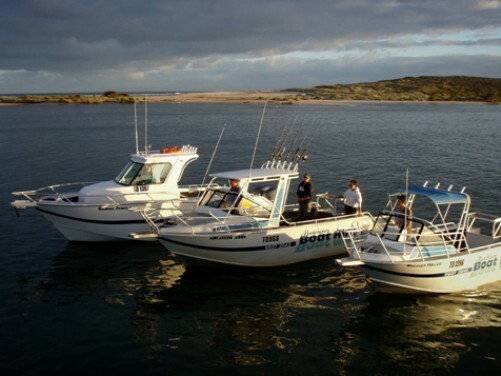 Our trailerised fishing, dive, whale watching and pleasure craft come in 3 sizes, all powered by 4-stroke Yamaha motors, are available for hire in Kalbarri. Or you may tow away to “your secret location” anywhere along Western Australia’s magical coastline. We deliver to the Kalbarri/Ajana turnoff for those traveling to Shark Bay, Denham, Carnarvon, Gnaraloo, Exmouth, Karratha, Port Hedland or beyond.